Afrika Eye, the South West’s biggest celebration of African cinema and culture returns with a packed programme of unmissable films, discussions, workshops and live music between Sun 4 - Mon 12 Nov at venues across Bristol. Afrika Eye's cornerstone weekend at Watershed happens between Fri 9 - Sun 11 Nov.
Afrika Eye are thrilled to partner with the Bristol Link with Beira on Train of Salt and Sugar, and honoured to have H.E. Mr Filipe Chidumo, High Commissioner for Mozambique, here to introduce it on Fri 9 Nov. The film is followed by the opening Friday night Party in the bar with the sounds of Onipa - Afro-fusion at its best! On Saturday, the Festival has classic African animations, along with human rights documentary, Silas, and a blazing drama in Five Fingers for Marseilles. 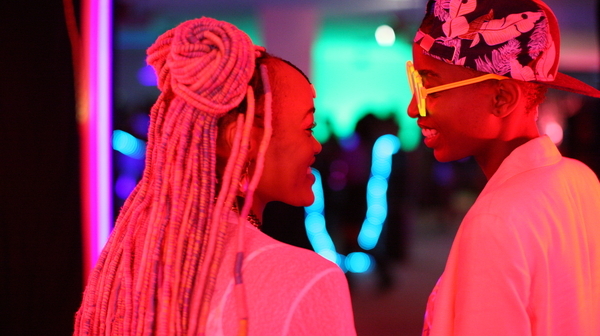 Rafiki is a tale of forbidden love from Kenyan director Wanuri Kahui and promises lively post-screening discussion and debate. On Sunday, the Festival hosts an African Remembrance event, with a screening of the beautiful WWI animation, Adama. Our City - Your Eyes celebrates the exchange between creatives from Dakar and Bristol, A Season in France gives much needed insight into the struggles of asylum seekers, and the weekend culminates with a Q&A with Rayhana, director of the closing film, I Still Hide to Smoke. 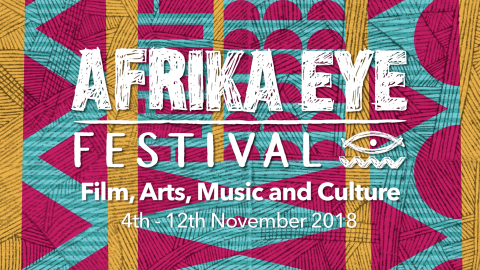 Check out the full Afrika Eye programme of films and workshops from Sun 4 Nov onwards at afrikaeye.org.uk and #AfrikaEyeFest. With huge thanks to the Festival's funders and supporters: BFI, Arts Council England, British Council West Africa Arts Festival Fund and The Morel Charitable Trust. A brave and extraordinary work that breaks taboos and shows Algerian women struggling under patriarchal oppression. This soul-searching film focuses on the plight of undocumented asylum seekers desperately trying to find sanctuary in Europe. Afrika Eye is delighted to introduce Our City – Your Eyes, a special cultural exchange between Bristol and Dakar, Senegal. Beautifully told, Adama gives much-needed insight into the contribution of African soldiers and nations to the Great War. A wildly thrilling and deftly constructed Western-genre-inspired drama set across a South African landscape. Romantic sparks fly between the daughters of two opposing politicians in a story of forbidden love, the first Kenyan film to screen at Cannes. A white teenager finds her life turned upside down when her parents become targets of the apartheid government. An African Voices Forum discussion event, to explore the legacy of Mandela and confront the global apartheid that still plagues South Africa. Animation has an extraordinary power to bring to life the oral storytelling so central to cultures across Africa. When the rights to Liberia’s land are signed away to multinationals, activist Silas Siakor responds with swift action. Drop into Afrika Eye’s creative hub for children - hear stories, explore ideas or get stuck into a traditional game. Onipa bring high energy, afro-fusion grooves, afro-futurism, electronics and dance to the legendary Friday night party. The epic tale of Rosa, a nurse, and Taiar, an idealistic soldier both braving a necessary and treacherous journey in Mozambique's civil war.